We are absolutely delighted that our Pinot Noir 2014 has now also earned itself a Trophy at this evening’s Air New Zealand Wine Awards. More details will follow. 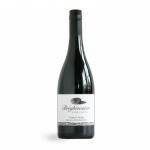 Brightwater Vineyards 2014 Nelson Pinot Noir has just been awarded a Pure Gold Medal at the prestigious Air New Zealand Wine Awards announced today. This is the fourth Gold Medal for this wine and follows on from the previous Gold Medals the same wine has received at the Spiegelau International Wine Competition in July, the Bragato Wine Awards in August and the International Aromatic Wine Competition in October this year. 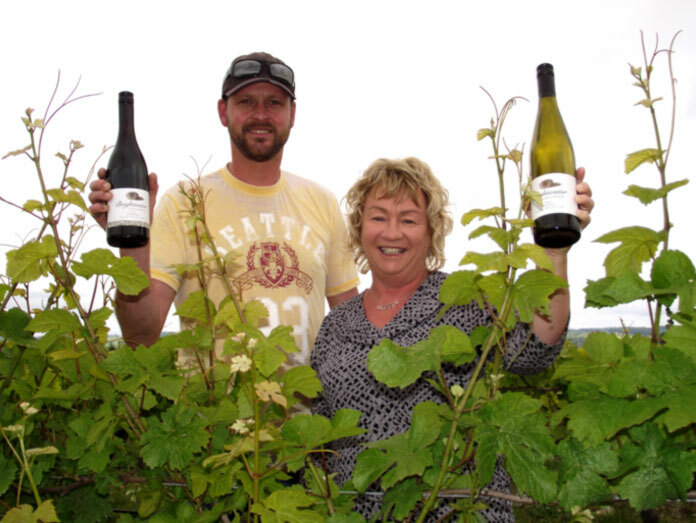 Brightwater Vineyards 2015 Nelson Pinot Gris was also awarded a Pure Gold Medal at the same show. The Air New Zealand Wine Awards is the premier wine competition in New Zealand recognising excellence in wine-making. The competition has been running for over 30 years. It is owned and organised by New Zealand Winegrowers, the national organisation for the country’s 1,700 grape growers and winemakers. Over 1,500 wines were judged by a team of top New Zealand and international judges to identify medal and trophy winners for each of the varietal categories. 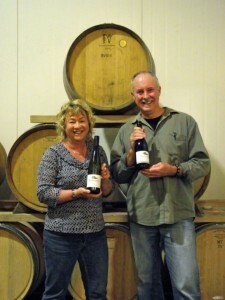 Valley and Gary Neale celebrate winning two gold medals at the Air New Zealand Wine Awards. 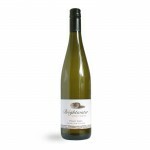 “We are extremely pleased with these results.” said Gary Neale of Brightwater Vineyards. “It is very rare for a wine to be awarded four gold medals from four different wine shows. We have had wines that have received two gold medals before but this is our first wine to receive four. This is the Pinot Noir that was tasted by His Royal Highness Prince Charles and Her Royal Highness the Duchess of Cornwall at the Source to Serve event held in Nelson on Saturday. In conjunction with the Awards, a gala dinner is to be held to announce and celebrate the Elite Gold, Pure Elite Gold medal winning wines and the Trophy winning wines, and to acknowledge the talents of our winemakers. This is a high-profile black-tie dinner, with a quality focus both in terms of wine and fine New Zealand cuisine. This year the Air New Zealand Wine Awards gala dinner will be held in Nelson at Saxton Stadium on Saturday 28 November.